A cataract is a clouding of the lens inside the eye, which causes vision loss that cannot be corrected with glasses. This occurs when protein in the lens clumps up and clouds the lens which reduces the light that reaches the retina. When the cataract is small, the cloudiness may only affect a small part of the lens. However, as the cataract grows, the cloudiness becomes worse, causing one’s vision to be affected. Most cataracts are associated with the ageing process and are common among older people. 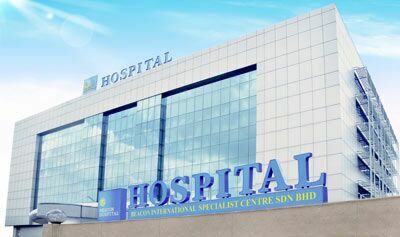 According to a report, it is estimated that in the next 5 to 10 years, approximately 1.3 million Malaysians over the age of 50 will develop cataract and it will be the main cause of blindness in the country. Other than age, some of the other risk factors for cataract are diabetes, smoking and alcohol habits as well as prolonged sunlight exposure. Those who have a family history of cataracts may also develop it when they are in their 40s and 50s. As cataract surgery becomes a necessity in many at some point in their lives, the cost of getting one done with good quality lens can be pricey. 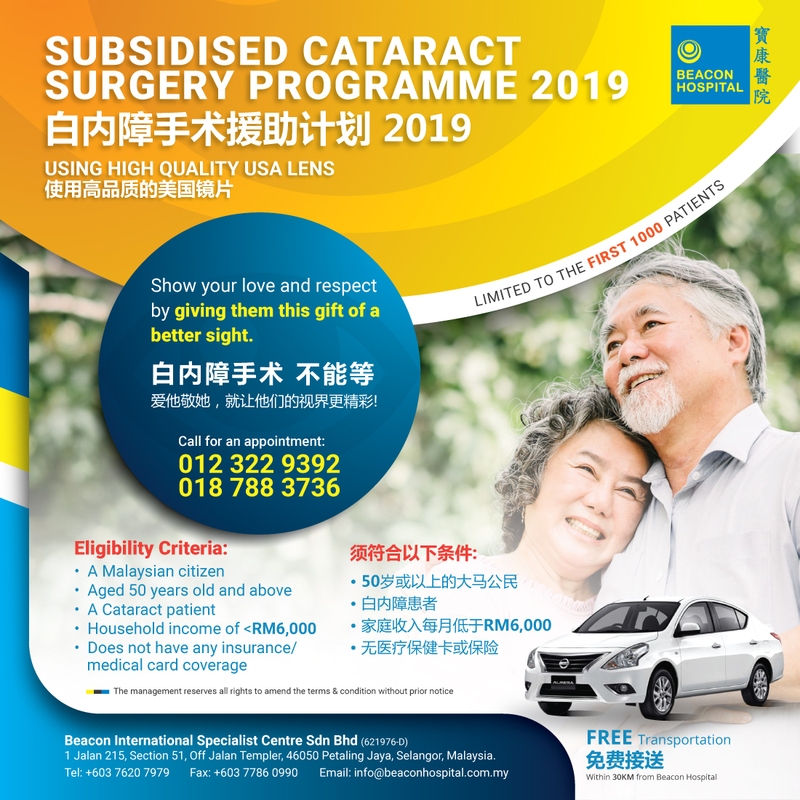 In order to help ease the financial burden that comes with it, Beacon Hospital is offering a subsidised cataract surgery programme for only RM 1588 per eye. 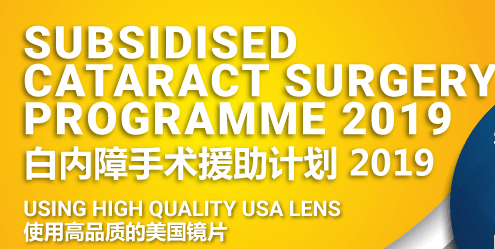 The lens used in this surgery will be of high quality and from the USA.